This shows the flooding at the tank site in Elk City. Washout on Highway 14, mile-marker 24. 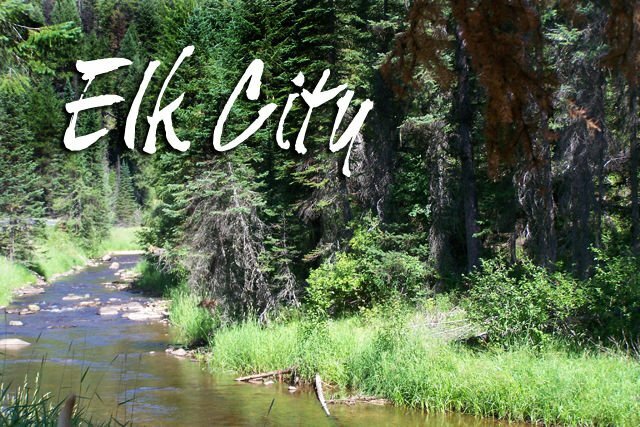 ELK CITY – For those of you who haven’t been down river in the last few days since we got all that rain, there are close to a dozen places where debris has slid down the mountain and across the road. The photo shows one such just below the 24-mile marker. Thanks to the road crews, they have been able to keep the road open. Did you notice that the pad the tank was sitting on at the park was under water last week? Remember, Easter sunrise service, April 21, 7 a.m., with a breakfast following at 8:15 a.m.; Sunday school for all ages at 9 a.m., and worship service with communion at 10 a.m., at the Elk City Baptist Church. Docs will be up from St. Mary’s Hospital on Monday, April 29. Call 208-962-3267 for an appointment. Birthdays: Brycelyne Whitman, Anita Mae Johnson, Ginny Lyke, Becky Chaffee, Raymund Cook, Heather Kestner, and Brian Cox. News from Sue: Mark your calendars! Friends of the Elk City Library will be holding their fun and famous beer and wine tasting event on Friday, May 10, at 6 p.m., at the Elk City Laundromat. Attendees will receive a number of “tastes” of a variety of beers and/or wines, a plethora of delicious hors d'oeuvres, the awesome silent auction, and specialty coffee and desserts. There will be pick-n-pay books available to select giving you the opportunity to put books directly on the shelves. A small charge to attend benefits the library directly...our school and community library. This is a great evening you don't want to miss! Donations accepted for the silent auction...contact Sue Phillips. The annual Easter egg hunt is set for Sunday, April 21, 11 a.m., at the Elk City School playground. There's also an Easter dinner potluck for the community at 1 p.m., Sunday, April 21, at the VFW. Meat, green beans and rolls will be provided. Get your aluminum can donations to the trailer parked across from the VFW by Saturday. The trailer will head to Lewiston for the cans to be redeemed on Monday, Earth Day. All proceeds benefit REACH Club, one of the only fund-raisers they have. REACH would like to thank the community for supporting them by donating their aluminum cans! Stop the press ... a new storage site for the aluminum cans has been found. After the trailer is gone this weekend, cans can be taken up to the school and placed by the door of the old school building, the building closest to the playground. There will be a sign designating the spot.